National Kyivan Cave Historical-Cultural Preserve [Національний Києво-Печерський історико-культурний заповідник; Natsionalnyi Kyievo-Pecherskyi istoryko-kulturnyi zapovidnyk]. 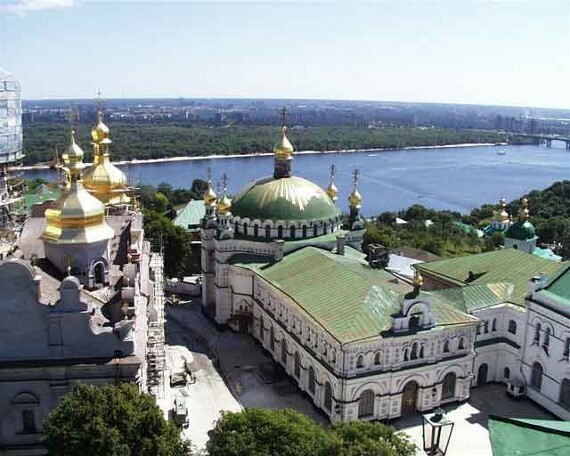 An important historical preserve in Kyiv, consisting of the entire complex of the former Kyivan Cave Monastery. 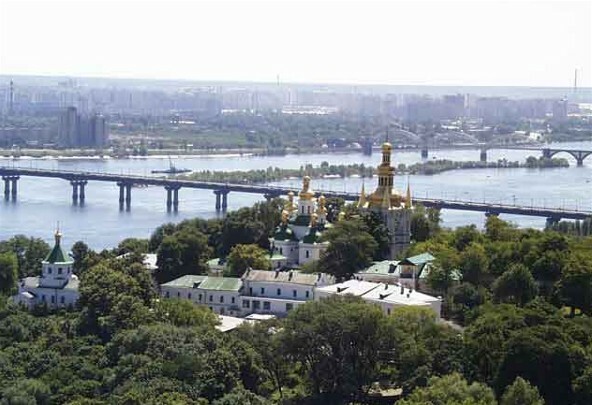 The state-run preserve was organized in 1926, when the monastery was closed down by the Soviet authorities. In 1996 the complex was granted a national preserve status and assumed its present name. On its 28-ha grounds there are over 80 cultural and public structures, 37 of them architectural and historical monuments from the 11th to 18th centuries. 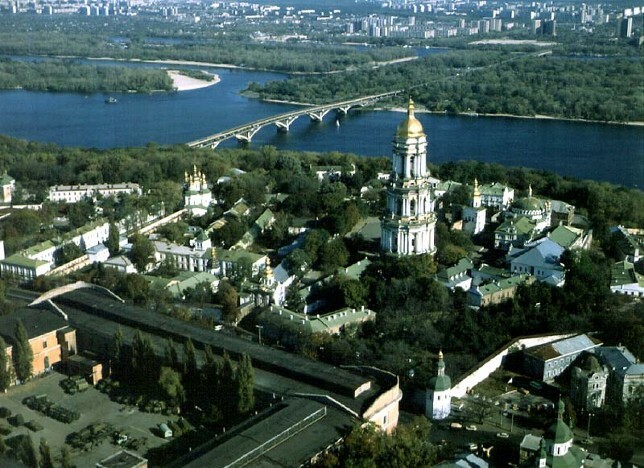 The most important are the Great Bell Tower (1731–44), the Transfiguration Church in Berestove (early 12th century), the Trinity Church above the Main Gate (1108, restoration paid for by Hetman Ivan Mazepa in the early 18th century), and the Dormition Cathedral of the Kyivan Cave Monastery (1078, destroyed by a Soviet mine in 1941, rebuilt in 1998–2000). The museums of the preserve contain many rare and valuable items from the 16th to 18th century: manuscripts, incunabula, and old books (many of them printed by the Kyivan Cave Monastery Press), and embroidery, precious metallic objects, engravings, printing blocks, and art works. 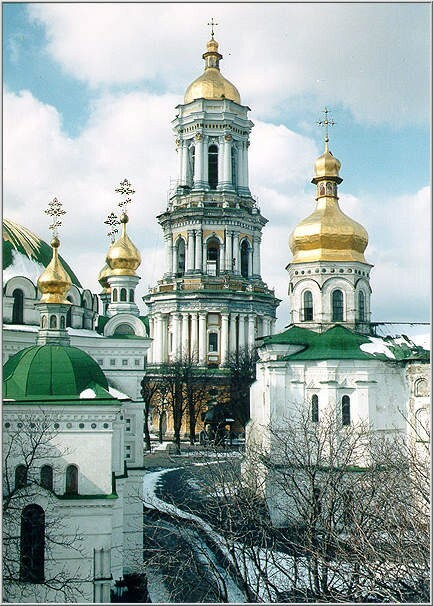 During the Ukrainian-Soviet War, 1917–21 and the Second World War, many treasures were removed, destroyed, or stolen. During the Second World War over 30 monuments and buildings were destroyed, but almost all of them have been restored. Located at the preserve are the Museum of the Book and Printing of Ukraine, the Museum of Historical Treasures of Ukraine, the National Museum of Ukrainian Decorative Folk Art, the Museum of Theater, Music, and Cinema Arts of Ukraine, and the National History Library of Ukraine.